Saudi Arabia’s economy grew in the second quarter at its fastest pace for over a year but the private sector remained sluggish, weighed down by austerity steps and a drive to push more Saudi citizens into jobs, official data showed on Sunday. Gross domestic product, adjusted for inflation, expanded 1.6 per cent from a year earlier in the April-June quarter. That was up from 1.2 per cent in the first quarter and the fastest growth since the fourth quarter of 2016. But the pick-up was mainly due to the government sector, where growth jumped to 4 per cent from 2.7 per cent as authorities boosted spending, the data showed. 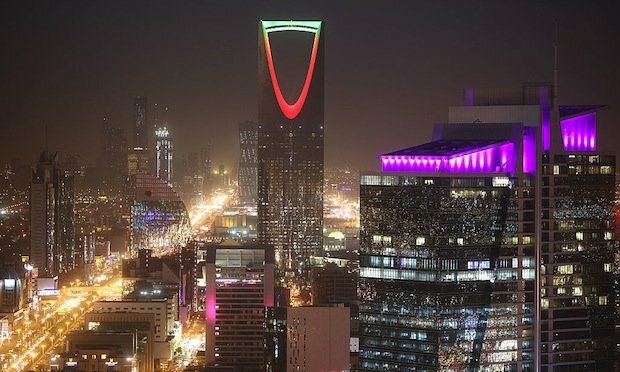 The private sector, which is crucial to Riyadh’s attempts to create more jobs and cut a record 12.9 per cent unemployment rate among Saudi citizens, expanded just 1.8 per cent, up from 1.1 per cent in the first quarter. Private businesses have been hit hard by tax rises and other steps to narrow the government’s budget deficit, and by quotas and fees which make it more expensive to hire foreign workers and pressure firms to employ Saudis instead. Hundreds of thousands of foreign workers have left the country in the past 12 months, hurting domestic demand and causing the economy to shrink last year for the first time since the global financial crisis in 2009. Monica Malik, chief economist at Abu Dhabi Commercial Bank, said the pattern revealed by the GDP data was likely to persist at least through the second half of the year. “For the time being, it will be up to the government to stimulate growth as relatively little will be coming from the private sector,” she said. Malik said the government appeared able and willing to do more to support the economy, partly because a surge in oil prices in recent months had boosted state revenues. The finance ministry said on Sunday that it expected to increase state spending by over 7 per cent next year, with projected revenues in 2019 jumping 11 per cent to SAR978bn ($260.8bn). Finance minister Mohammed al-Jadaan said the government would soon announce policies to support the private sector in areas such as industry and tourism, though he gave no details. Malik also predicted overall GDP growth would accelerate considerably in the second half of this year because of the oil sector, which grew 1.3 per cent in the second quarter. A deal among global producers to cut oil output was eased in mid-2018. The International Monetary Fund has projected Saudi GDP will grow 1.9 per cent this year.